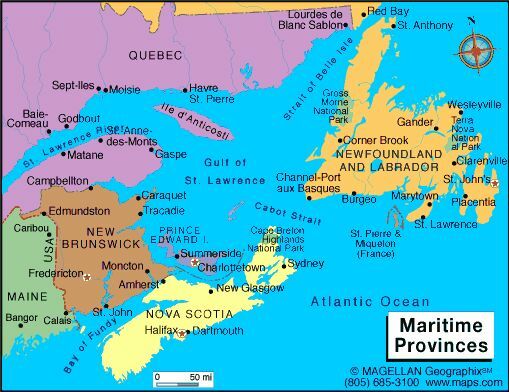 Canada's most eastern province comprising the Island of Newfoundland and Labrador on Canada's mainland sharing a provincial border on its western side with Quebec and the Atlantic. The opening to the Gulf of St Lawrence separates the two. Only the Island grows fruit producing wines. 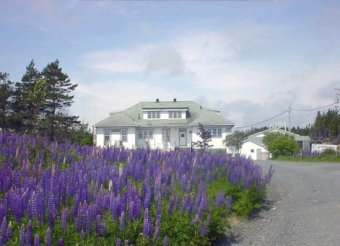 Markland Cottage makes 8 Exotique Wines from hand picked wild berries and fruit. They also produce Kosher wines. KOSHER/PAREVE certification is COR 530. All wines are KOSHER making only fruit wines. Blueberry, Cranberry, Lingonberry, Strawberry, Blackcurrants, Raspberries, plums, pears, Cloubberries. Pear and plum brandies. There wines can be found throughout eastern Canada, Alberta, New York State and Japan. 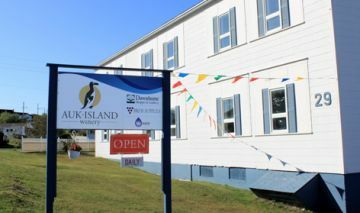 Auk Island Winery is named in remembrance of the Great Auk that became extinct in 1844. It was the original Penguin and was found in great numbers around Notre Dame Bay and the Funk Islands. The winery is owned by Grant Young, who recently purchased what was formally known as Weil Winery Ltd. The main label for Auk Island winery is Norte Dame Wine. A unique feature of the winery is the use of Iceberg water to make the wines. They also use wild berries free of pesticides. Philosophy: Make a variety of wines from fruits and berries available. Glenda Baker and John Bickerton started their vineyard in 1992. Gambo is located in central eastern Newfoundland, 40 km east of Gander and 294 km west of St John's They have tested over 45 varieties in the vineyard. The vineyard has 1,800 vines including Pinot Noir, Gewürztraminer, Frontenac and Delisle. “Springwine©”? It’s a new category of wine that is made from birch nectar or birch sap from birch trees, which is harvested in the spring of the year. Craig Lewis if founder and ceo of SapWorld. was designated a UNESCO World Heritage Site in 1987. It is an area of great natural beauty with a rich variety of scenery, wildlife, and recreational activities. Visitors can hike through wild, uninhabited mountains and camp by the sea. Boat tours bring visitors under the towering cliffs of a freshwater fjord carved out by glaciers. 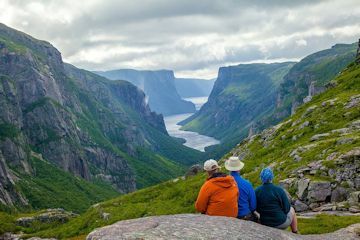 Waterfalls, marine inlets, sea stacks, sandy beaches, and colourful nearby fishing villages complete the phenomenal natural and cultural surroundings of Gros Morne National Park of Canada.